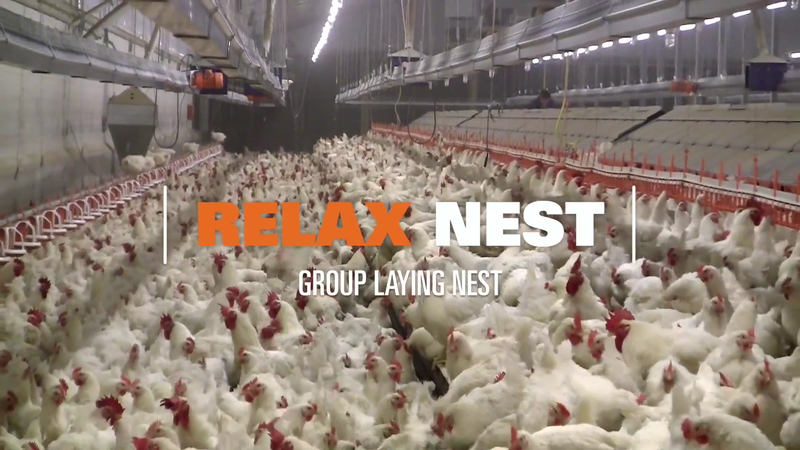 Relax is a group laying nest which has been newly developed by Big Dutchman especially for broiler breeders. 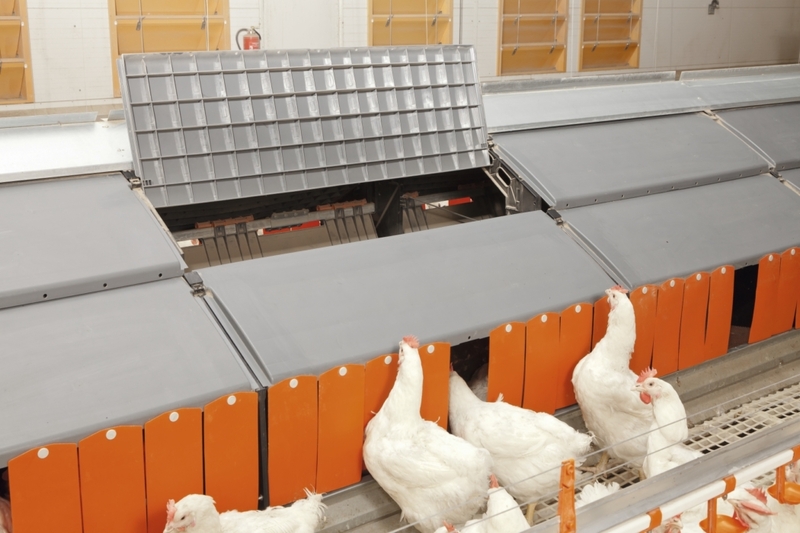 The back wall automatically closes the nest after the laying period. 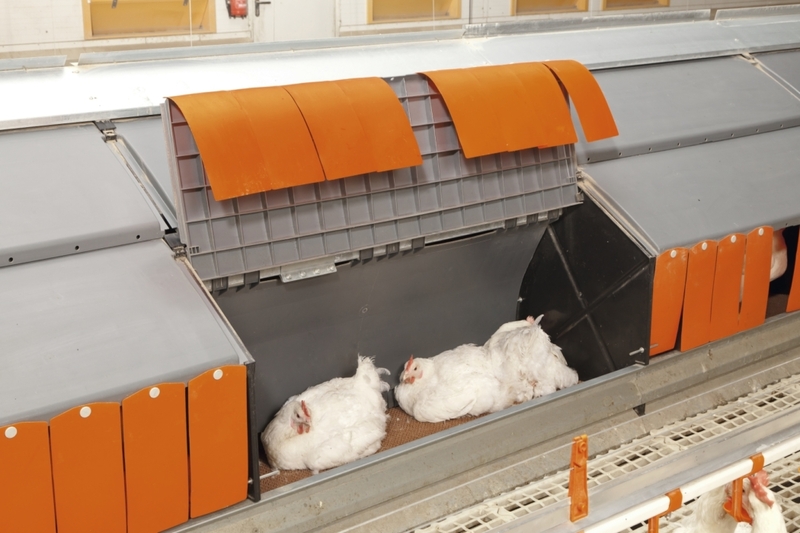 This ensures that the nest remains clean and that the hens do not brood there. 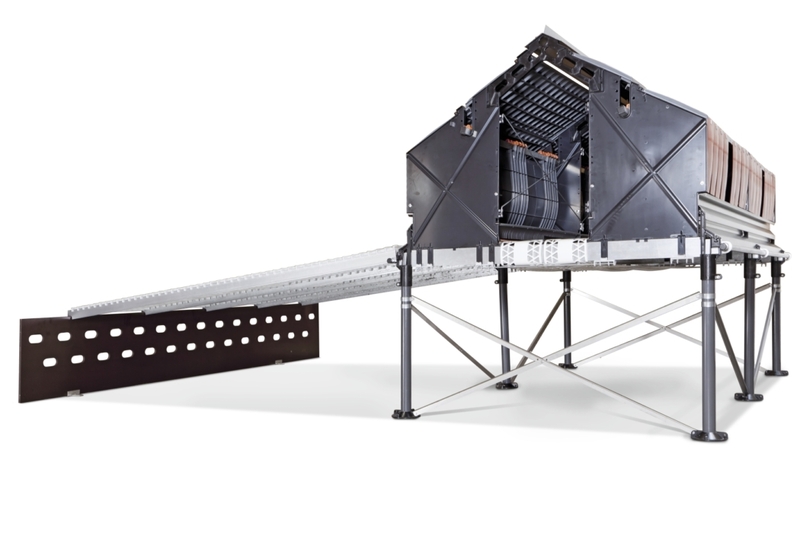 The almost screwless snap-on system allows for quick and easy assembly.